Green foliage is lancolate with deep wrinkles. Fuzzy stems. 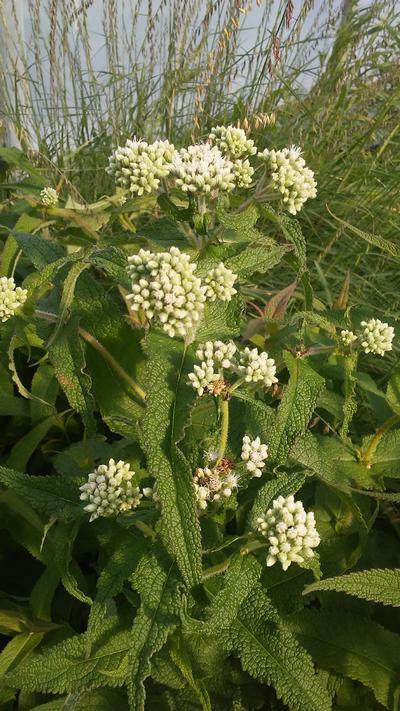 Flat topped flower clusters bloom white late summer into fall. Prefers wet soil, perfect for rain gardens.